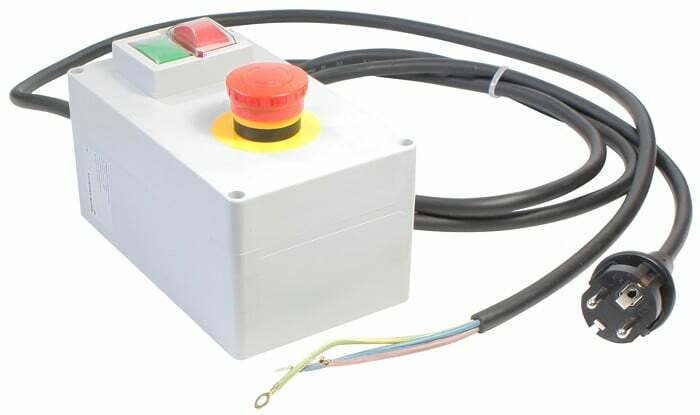 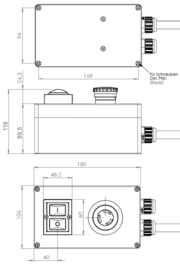 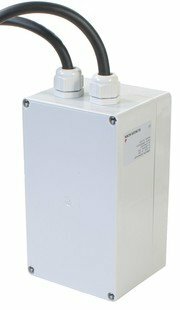 Ready-to-connect 1 phase AC motor starter with undervoltage release and emergency stop button. The switch is operated via on / off buttons. 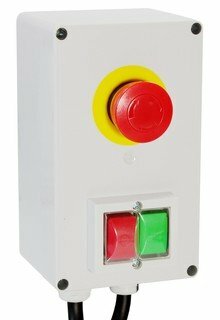 The emergency stop button switches the machine voltage free. It can only be switched on again after unlocking by turning the button. 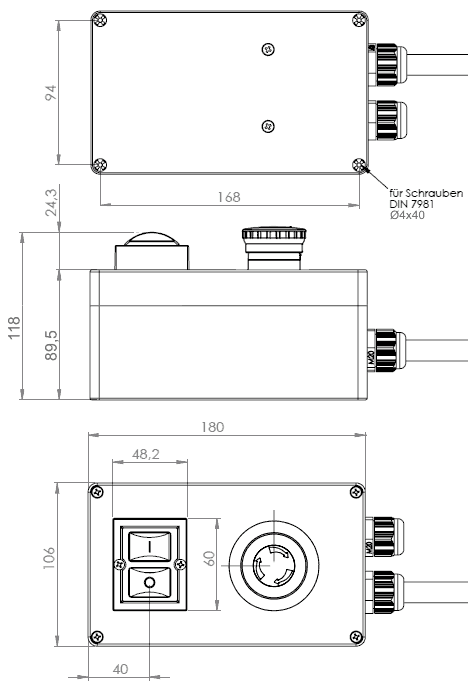 The switch is screwed to the machine via mounting lugs (order). 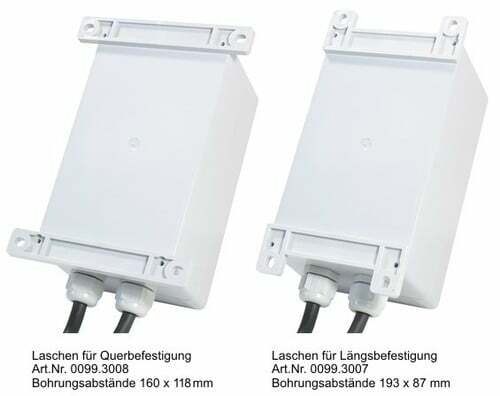 2 m Cable H07RN-G 3 G1,5 mit with earthed safety plug, 230 V.